Located near one of the entrance doors of the historic town of Lagos, within the old town walls, the Baluarte da Vila Apartments arised from the dream of rehabilitating an old manor holiday house dated from the early nineteenth century. Surrounded by the original old wall of the city on the south side, the building maintains some of its original features, influenced by the romantic period of the Portuguese Discoveries, such as the use of Santa Catarina tile on the pavement, the application of typical limestone linings around the doors and windows and the use white color of the facades which helps to reflect the intense sun of the summer months. It is still visible the remnants of Arab culture with the persistence of terraces (açoteias) to the detriment of roofs. Next to where once was the Church of Our Lady Grace, where it was buried the Infant Henry the Navigator, this old style hotel aims to celebrate the town's history, pioneer in the Discoveries. The aparthotel situated in one of the town's hills offers a privileged view over the historical city center of Lagos and it's magnificent bay. Feel the pleasure of waking up with a calm and relaxing view over the blue sea. 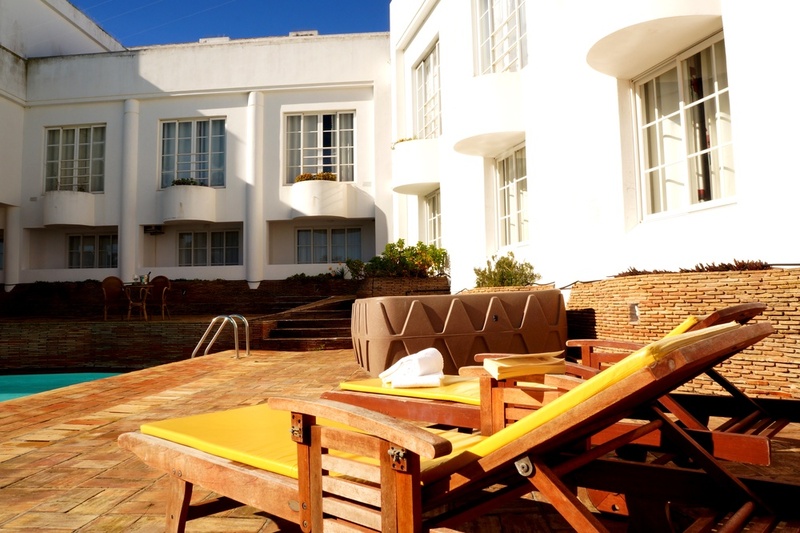 Enjoy a central location, with the comfort of moving on foot to any cultural point in the town. Place full of history and charm, where the old and the new, the modernity and comfort of the facilities are combined with the tradition and culture of the region. The Baluarte da Vila Apartments is distinguished by preserve lines that refer to the historical architectual concept of the town of Lagos, including it's connection to the Portuguese Discoveries. The Accommodation consists of 5 Studios for two adults. The 15 One Bedroom apartments are suitable for two adults and two children. The 20 apartments have a good size and include sitting area, small dining area and Kitchenette. Full bathroom, air conditioning, closet, safety box, kitchette including 2 electric rings, fridge, toaster, kettle, microwave and cooking utensils, daily maid service, satellite Tv, Lcd and Sea View.